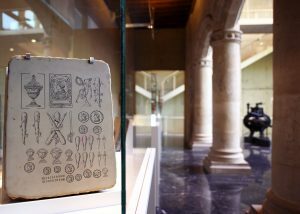 Recently opened museum complex next to the Renaissance Bendaña Palace, home to the Card Museum, that includes both collections of cards and archaeological items. The 5.000 m2 premises Hill help to revitalize the Historic Old Quarter and cultural and financial exploitation of the two current museums. It is equipped with two temporary exhibition halls, courses, conferences and a specialist library, which will place Vitoria-Gasteiz at the top of the ranking in Spain in terms oh these type of cultural facilities. The building designed by the architect Fancisco J. Mangado, is very expressive and of high quality in terms of aesthetics, and appropriate use of light predominates. Fournier Playing Card Museum. The best collection of playing cards in the world. Archaeological Museum The Archaeological Museum houses a major collection of objects and materials found at different sites in Alava.